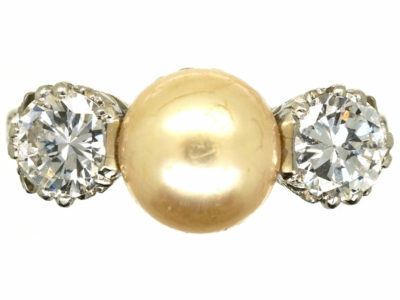 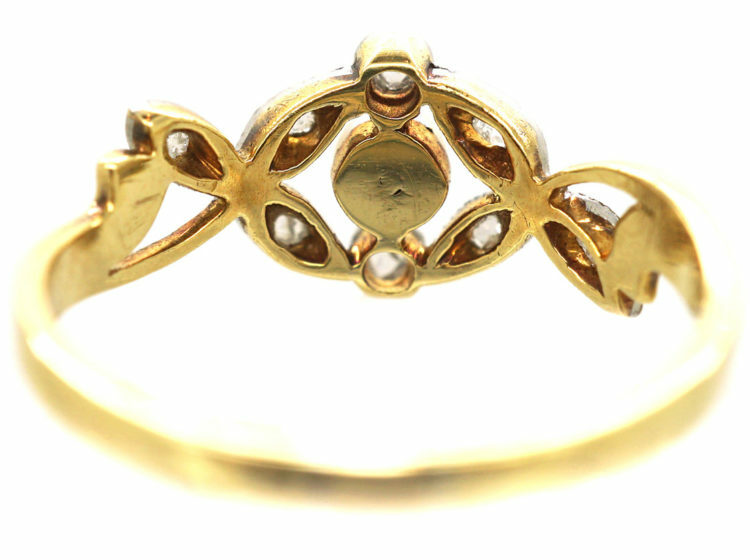 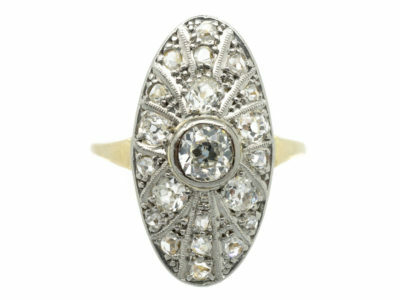 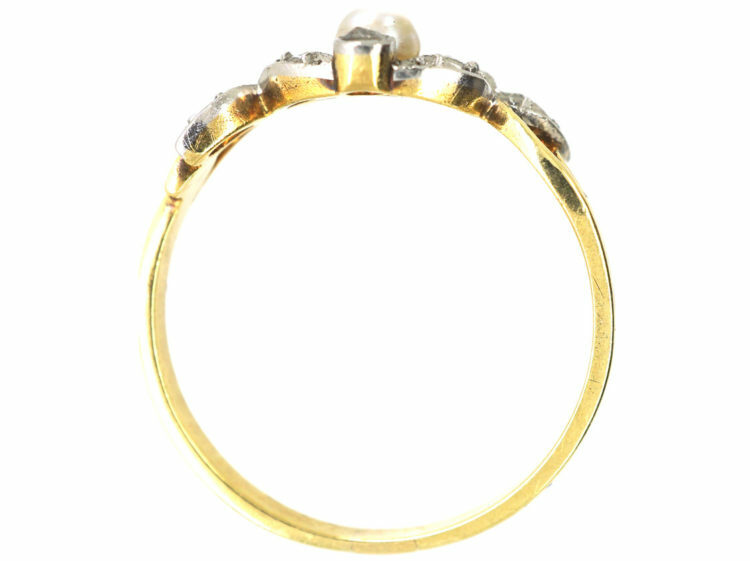 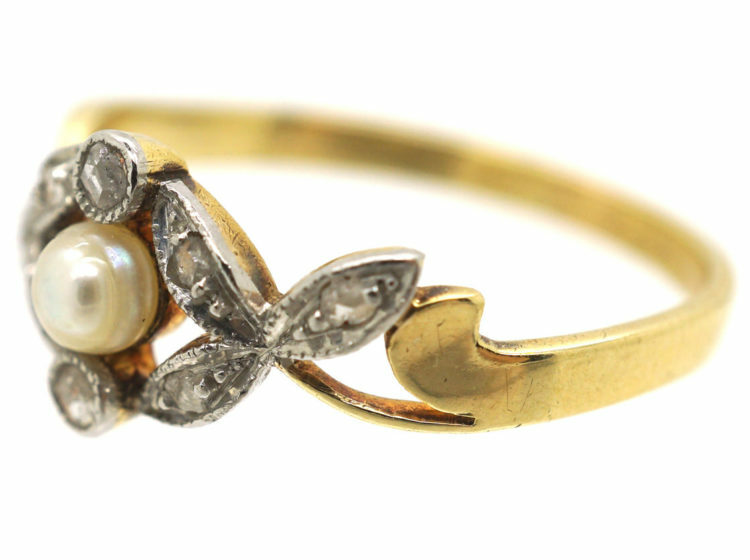 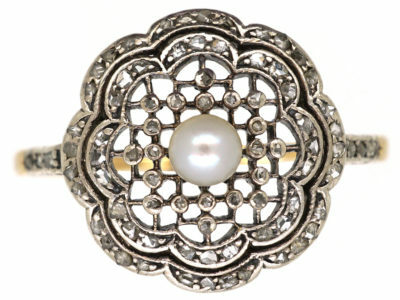 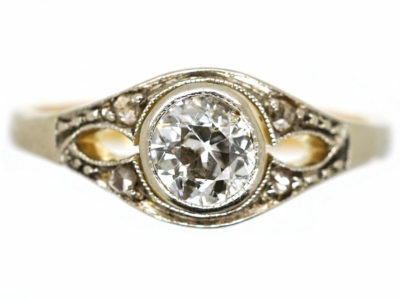 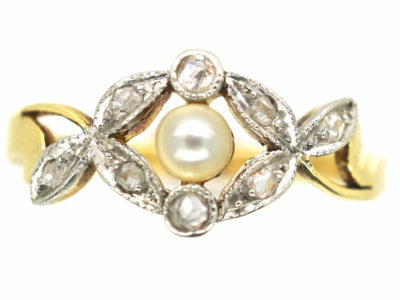 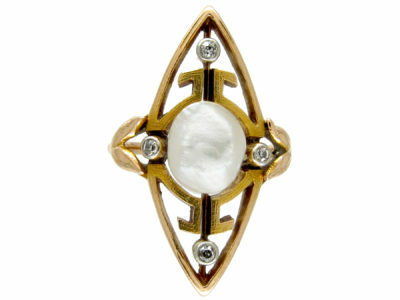 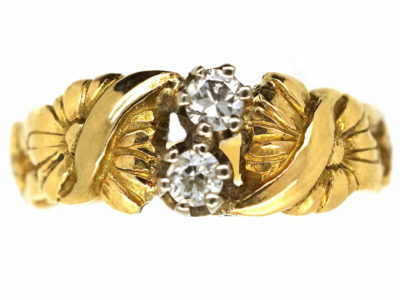 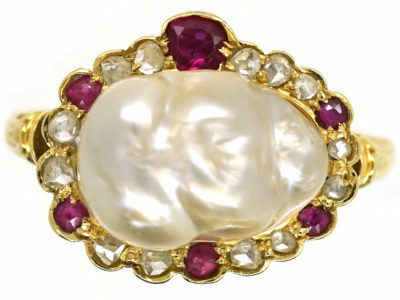 A very pretty Edwardian 18ct gold ring that was made circa 1900-1910. 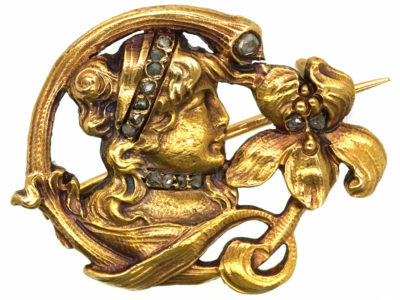 It is in the Art Nouveau style that was so popular at the time. 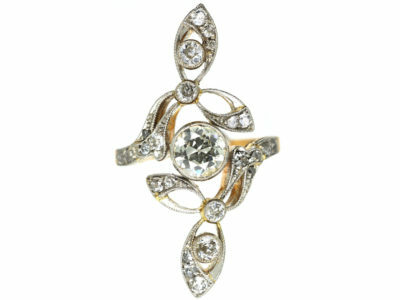 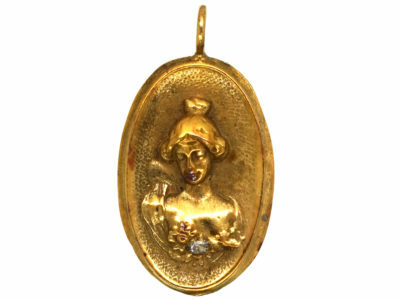 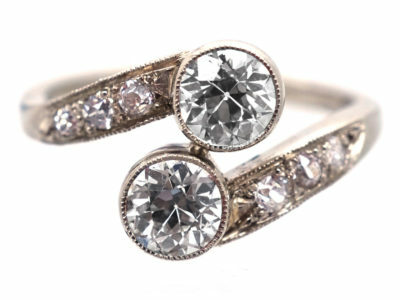 It was a reaction to the heavy Victorian jewellery of the late 1800s. 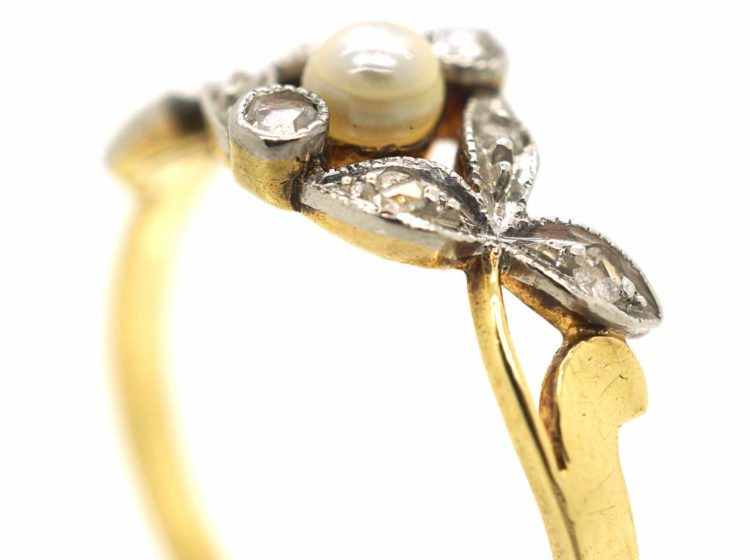 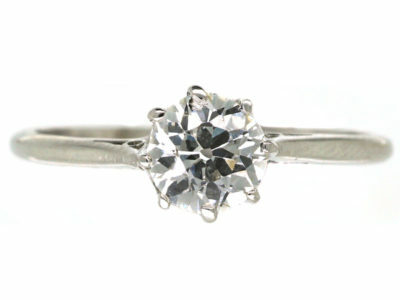 The look is light with two rose diamond set leaves that enclose a natural pearl bud.